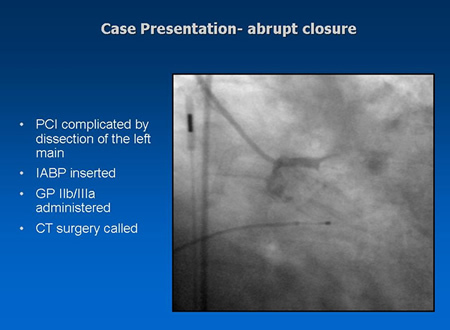 In the pre-stent balloon angioplasty era of the early to mid-1990s, the incidence of abrupt closure was 2-8%. Reestablishment of antegrade flow could be achieved using catheter-based techniques in up to 2/3 of cases, with a mortality rate of 4-10% (0.7-1.1% of all PCIs). Additionally, the emergency CABG rate was 20-30% (3.5-5.5% of all PCIs). Q-wave myocardial infarction developed in about 9% of patients with abrupt closure (1.3-1.7% of all PCIs) [1-3]. A number of developments have substantially changed these figures [4,5]. In particular, the use of coronary stents has greatly improved the safety and efficacy of PCI. Also, operators better comprehend the morphologic and clinical predictors associated with increased risk. The AHA/ACC Task Force Criteria  was the first proposed classification scheme, but recent simplifications and more accurate identification of the most predictive morphologies [6-10] draw on experiences from large up-to-date databases. The SCAI lesion classification system [8-10] has been validated as the most predictive morphology-based model in the stent era, supplanting the AHA/ACC criteria. There are several well-recognized clinical, angiographic, and procedural risk factors for abrupt closure . The most powerful predictive clinical factors are cardiogenic shock, multivessel disease, advanced age, congestive heart failure, renal dysfunction, female gender, diabetes, unstable angina, and acute myocardial infarction . Lesion morphologies associated with an increased incidence of abrupt closure include thrombus containing lesions, older vein grafts, bifurcation lesions, angulated lesions, lesions distal to tortuous segments, and long lesion length . A number of pharmacologic advances and technical improvements have also positively impacted the risk of abrupt closure and its sequelae. Glycoprotein IIb/IIIa inhibitors have been shown to decrease the incidence of abrupt closure and MACE in balloon angioplasty and stent procedures [12-14]. Coronary stents have completely altered the risk associated with PCI by providing a predictable method to deal with unstable dissections and other intraluminal obstructions to flow. Additionally, the development of devices utilized in specific high-risk morphologic subsets to decrease abrupt closure includes distal embolic protection devices for degenerated vein grafts and thrombotic lesions and rotational atherectomy (rotoblator) for calcified lesions. The current rate of emergency bypass surgery in the National Cardiovascular Data Registry  is less than 0.2%. In this database involving over 200,000 interventional procedures, only 371 patients required same hospitalization bypass surgery. Table II summarizes the factors that were shown to be independently predictive of survival after emergency CABG in the National Cardiovascular Data Registry. Most causes of abrupt vessel closure are due to extensive dissection (see Table III ) of the coronary artery induced by the mechanical device, resulting in deep, extensive injury in the media of the vessel . The mechanical obstruction due to the tissue flaps and platelet aggregates leads to a compromised vascular lumen with diminished flow. A cycle of further stasis, thrombosis, and vasoconstriction occurs. Air embolism typically creates a column of contrast that terminates at a different site than that of the original stenosis; administration of pressors to maintain arterial pressure is the best immediate therapy. 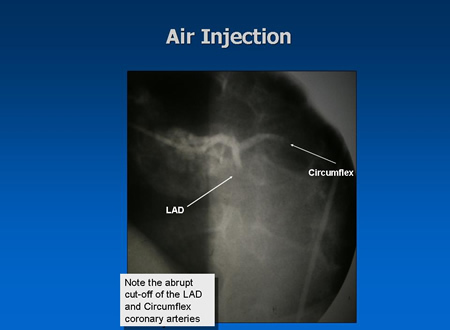 The aspiration of air via a small intracoronary catheter may be possible in some cases . 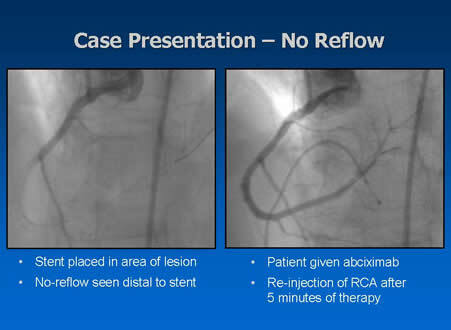 Distal embolization (eg due to atherosclerotic debris after rotational atherectomy) and the no-reflow phenomenon may also play a role and require therapy . Most patients are now discharged within 24 h of elective PCI. Immediate postdischarge care involves detecting vascular access site complications, dealing with contrast- or medication-induced complications, and stent thrombosis. Vascular access for PCI can be gained through the transfemoral, transradial or transbrachial techniques. Transbrachial access is rarely used nowadays due to the potential catastrophic complication of upper limb loss due to ischaemia . Transfemoral access is the most routinely used due to its technical simplicity, but transradial access is gaining popularity due to its better complication profile. A recent meta-analysis (10) shows that transradial access had less entry site complications but a lower rate of procedural success due to its higher technical requirements. The incidence of femoral vascular complications after PCI is reported to be around 2–6% (11). Transfemoral access site complications include haematoma, pseudo-aneurysm, arterio-venous (AV) fistula formation, lower limb ischaemia, femoral artery infection and retroperitoneal bleeding . Mild bruises and small haematomas are common and do not require specific investigation or treatment. A large or enlarging lump suggests either haematoma formation or pseudo-aneurysm formation and should be investigated with vascular ultrasound imaging. Vascular Doppler imaging can also detect AV fistula formation, which commonly causes an audible bruit or may present with groin pain. Femoral haematoma usually resolves with time and does not require specific therapy. Pseudo-aneurysms and AV fistulas usually resolve with compression, which can be performed with or without ultrasound guidance. In those that persist after compression, vascular surgical repair is sometimes required. The patient should be reassured about small bruises or haematomas, but large or enlarging ones should be referred back to the cardiologist. Retroperitoneal bleeding results from a high needle puncture above the inguinal ligament, where blood can enter the retroperitoneum and cause abdominal or back pain without any obvious haematoma formation in the groin. Severe back or loin pain after cardiac catheteriZation should alert the clinician to this possibility. It can also cause severe blood loss in the absence of pain. The incidence of retroperitoneal bleeding after PCI is reported to be <0.5%. Persistent hypotension should alert the clinician to retroperitoneal bleed. All cases of suspected retroperitoneal bleeds should be referred back to the cardiologist. Very rarely, large retroperitoneal bleeds require surgical evacuation and repair. Femoral access site infection is a rare but increasingly complex problem due to the increasing use of special artery closure devices . The two commonly used devices are Perclose (Abbott Laboratories, Abbott Park , IL , USA ), a suture-based device, and Angioseal (St Jude Medical, St Paul , MN , USA ), a collagen plug device. Their use significantly shortens the 'bed bound' time post-PCI (from 6 to 2 h) and improves patient comfort. 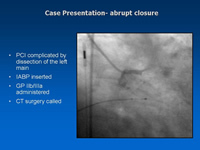 However, use of closure devices post-PCI has not been shown to reduce the risk of access site complications and it introduces a foreign body into an infected wound should access site infection occur. Access site infection usually settles with intravenous antibiotics, but these patients should be referred back to the cardiology center where surgical oversight can be given during antibiotic therapy, as a minority of cases can progress onto femoral artery rupture . Patients should be advised against strenuous activity and heavy lifting in the first-week post-PCI. Local cardiac rehabilitation programs are useful to help patients build up their level of activities with confidence. Radial artery access is in general more comfortable for the patient and carries a much lower risk of haematoma, pseudo-aneurysm or AV fistula formation (10,12). Loss of the radial pulse can sometimes occur, but this does not cause hand ischaemia if adequate collateral circulation from the ulnar artery could be demonstrated with Allen's test before the procedure . However, as the rate of absent ulnar artery and radial artery loss during PCI are so low, some have abandoned routine Allen's test before radial artery access. In some centers, the presence of an ulnar pulse is itself an adequate prerequisite for transradial access. Today's cardiac catheterization laboratories use non-ionic contrast, which is much better tolerated than older-generation contrast. However, elderly, diabetics and patients with baseline renal impairment are at risk of contrast nephropathy (13,14). Serum creatinine peaks in 2–5 days post-PCI and usually returns to baseline within 2 weeks without specific treatment. Nevertheless, development of end-stage renal failure requiring dialysis is possible in those with poor pre-existing renal function . Several investigators (15–18) have demonstrated the benefits of N-acetylcysteine given on the day before PCI together with adequate hydration in protecting against contrast-induced nephropathy. Other studies (19) have failed to demonstrate this benefit, but a recent meta-analysis suggests that N-acetylcysteine does have overall benefit in the prevention of contrast-induced nephropathy (20). Precontrast hydration and the use of bicarbonate for renal protection have been shown to be of benefit too (21). The other major but rare differential diagnosis of contrast nephropathy is atheroemboli-induced nephropathy . Renal deterioration in atheroembolic disease usually follows a different time course with gradual and progressive renal impairment developing in weeks to months. The finding of mottled vasculitic skin changes in the feet strongly supports the clinical diagnosis of atheroembolic disease. The diagnosis can be confirmed with renal or skin biopsy, but this is not usually necessary as the clinical picture is frequently diagnostic. Management of atheroembolic renal impairment is purely supportive. A gradually and persistently rising creatinine should alarm the clinician to refer the patient back to cardiologist for inpatient monitoring. Thrombocytopenia can rarely complicate the use of heparin (22) and glycoprotein (Gp) IIb/IIIa inhibitors. Platelet count should be checked after the use of GP IIb/IIIa inhibitors. The incidence, time course, diagnostic tests and management of post-PCI thrombocytopenia are listed in Table 1 (22–27). The offending drugs should be discontinued earlier if severe drug-induced thrombocytopenia is suspected. Clopidogrel and aspirin should never be stopped in the community without consultation with the interventional cardiologists involved even in the presence of thrombocytopenia. Thrombotic complications; Heparin-induced thrombocytopenia (HIT); antibodies (ELISA test); serotonin release assay. Discontinue all heparin. Platelet count typically normalizes in 5 days. Alternative anticoagulation (e.g. direct thrombin inhibitors). Expected rise 20,000/mm 3 /day. Chest pain post-PCI is a common challenge faced by medical practitioners. Up to 50% of post-PCI patients have some chest pain. 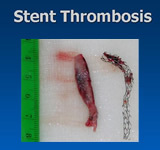 The causes range from the benign stent sensation to the highly dangerous acute stent thrombosis. The electrocardiogram (ECG) is central in the assessment of early post-PCI pain, but fortunately the interpretation of the ECG changes is similar to myocardial infarction. Minor pains that had persisted at a consistent level since stent implantation with normal ECG can be reassured. However, due to the concern of acute stent thrombosis, the assessment of all other chest pains should be performed carefully in consultation with the patient's cardiologist. Longer-term issues post-PCI are very patient-specific and variable but broadly involve detection and treatment of recurrent ischaemia, arrhythmias and heart failure , appropriate antiplatelet therapy and secondary prevention. Recurrent ischaemia post-PCI can result from restenosis, development of progressive disease in the same or a different coronary territory, or increased myocardial demand from various causes. 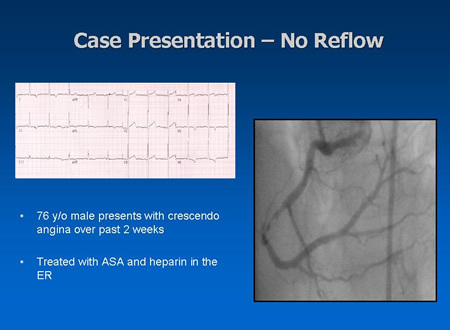 Clinical restenosis typically occurs around 3 months post-PCI and it plateaus at 12 months. Unusually, aggressive restenosis can develop sooner but rarely occurs in the first month. Angina that recurs more than 12 months post-PCI suggests progressive atherosclerotic coronary disease rather than restenosis. It is also important to realize that increased myocardial demand can cause angina post-PCI. For example, increased myocardial demand can result from the development of anemia or aortic stenosis. Increased exercise capacity after peripheral artery revascularization for claudication can also increase myocardial demand. Although about 10% of PCI patients who have bare metal stents (BMSs) have asymptomatic restenosis, there are no data to suggest that universal routine stress testing post-PCI improves outcome. However, it is reasonable to perform routine stress testing around 6 months post-PCI in selected cases where there is a high risk of restenosis affecting a large myocardial territory as recommended by the American College of Cardiology (ACC)/American Heart Association (AHA) guidelines (28). It is also useful to determine the physiological significance of an intermediate stenosis in another vessel before further PCI is contemplated. As exercise testing is an insensitive predictor of restenosis (with only 50% sensitivity) (29–31), stress testing complemented with non-invasive myocardial imaging giving superior sensitivity [echo (32,33), nuclear perfusion (34,35) or magnetic resonance imaging (MRI)] is sometimes required in these patients. Stress tests should generally be delayed for a few weeks after PCI, but earlier stress testing (even on the day after stenting) can be performed without the risk of subacute stent thrombosis or access site complications in carefully selected patients (36). Another reason to delay stress testing for a few weeks is that false-positive nuclear myocardial stress perfusion scans have been observed if stress testing is performed too soon after PCI (37). 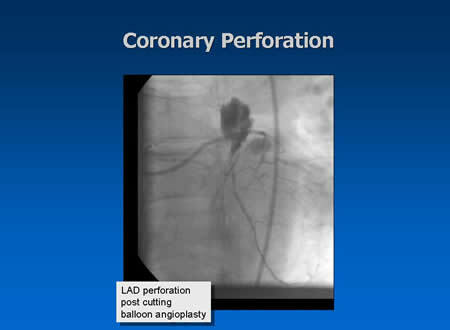 MRI can be safely performed immediately post-PCI without the fear of stent migration. 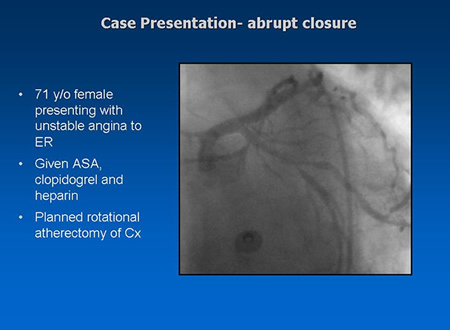 Routine follow-up angiography is only indicated in very few selected cases. These include patients who have received left main coronary artery stenting where repeat angiography can be performed in 3–9 months. 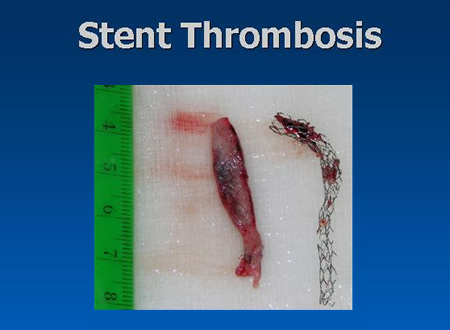 Stent thrombosis is a dreaded complication of PCI. It is rare but is typically associated with catastrophic consequences including myocardial infarction and sudden death. Incidence is in general <1% with dual antiplatelet therapy and high-pressure stent deployment. The majority of cases occur early poststenting, but a disturbing incidence of late stent thrombosis appears to be associated with DES. Dual antiplatelet therapy with aspirin plus clopidogrel is therefore mandatory initially in patients who had coronary stents implanted. The optimal duration of dual antiplatelet therapy is controversial, but a minimum period of 4 weeks for bare metal stents (BMSs) is widely accepted. A few alarming cases of very late stent thrombosis (more than 12 months poststenting) within days of cessation of antiplatelet drugs had been reported with drug-eluting stents (DESs) (38). The theoretical possibility of a higher incidence of very late stent thrombosis with DESs due to delayed re-endothelialisation and the demonstrated benefits of 9 months of clopidogrel in patients with acute coronary syndrome (39) have led many to use 1 year of dual antiplatelet agent poststenting with DESs. Furthermore, previous experience with late stent thrombosis due to delayed re-endothelialisation after intracoronary radiation therapy predicates a more cautious approach to DESs. We recommend dual antiplatelet therapy for a minimum of 12 months for sirolimus-eluting stents (Cypher, Cordis Johnson and Johnson, Miami , FL , USA ) and paclitaxel-eluting stents (Taxus, Boston Scientific, Natick , MA , USA ). In selected cases with multiple overlapping DES or left main DES, we would recommend dual antiplatelet agent for at least 24 months, continuing possibly indefinitely. Aspirin is recommended for all patients with coronary artery disease and should be continued indefinitely in patients with stents, in particular DESs. Stopping all antiplatelet agents in patients with DES implantation could be potentially hazardous and should be strictly avoided. If patients are to undergo surgical procedures, they should remain on at least one anti-platelet agent (aspirin or clopidogrel), even if it has been several years after stent implantation. The corollary is that patients who are expected to need foreseeable interruption of all antiplatelet therapy after stent implantation (e.g. for major surgery) should receive BMSs rather than DESs. Oral anticoagulation with warfarin, even in combination with aspirin, is inferior to dual antiplatelet therapy in the prevention of acute stent thrombosis (40–44). On the other hand, warfarin is mandatory for certain patients, for example, those with mechanical heart valves. For patients with atrial fibrillation (AF) or other indications for warfarin, the optimal approach post-PCI should be tailored individually according to the calculated risk of thromboembolism and stent thrombosis vs. the risk of bleeding on full dual antiplatelet plus warfarin therapy. Sample case scenarios and suggested approach are included in Table 2. The incidence of major bleeding >30 days after randomization in the CURE study is statistically higher with dual antiplatelet therapy (1.7%) compared to aspirin alone (1.1%) (39). In comparison, the bleeding risk on either drug alone in the CAPRIE study is 1.55% for aspirin and 1.38% for clopidogrel over 1 year (45,46). Limited data suggest, not unexpectedly, the trio (aspirin, clopidogrel plus warfarin) together carries a higher risk of bleeding (9.2%) than warfarin plus aspirin (6.5%) (40–44,47). Prognosis of stable, fully revascularized patients with good left ventricular function is generally good. In young (<60 years old) nondiabetics with single-vessel disease and good left ventricular function, long-term prognosis after PCI matches that of the general population (48). The recently presented ARTS II registry (49) showed that PCI using sirolimus-eluting stents in multivessel disease achieved equivalent event-free survival at 1 year compared to the coronary bypass grafting group of the ARTS I trial (50). Nevertheless, there is a subgroup of post-PCI patients who has poor left ventricular function despite revascularization. Patients with NYHA class III to IV heart failure symptoms have an annual mortality that ranges from 20 to 50% (51,52). Sudden death accounts for up to half of these deaths. Management of patients with arrhythmias and heart failure should involve a cardiologist or a physician with extensive experience in cardiac care. Anti-arrhythmic drugs should be used with caution in patients with coronary artery disease and left ventricular dysfunction. Beta blockers are the drugs of choice for their anti-arrhythmic effect and have been proved to have mortality benefits in the heart failure population (53–55). Class I agents (flecainide and propafenone) are contraindicated (56,57). Amiodarone is safe for administration to patients with NYHA class II heart failure but confers no mortality benefit (58). All post-PCI patients are candidates for ACE inhibitors (ACEIs). 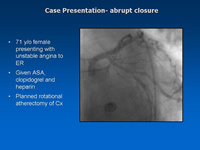 The benefit of ACEIs has been clearly established in patients with LV impairment. Even those with preserved LV ejection fraction benefit from ACEIs with lower rate of subsequent cardiovascular events (59,60). Although the evidence still favours ACEIs over angiotensin II receptor blockers (ARBs) in patients with left ventricular failure, ARBs should be considered in those who are intolerant to ACEIs (61). Combination therapy using ACEIs and ARBs in patients with ejection fraction 40% or lower may reduce cardiovascular mortality and hospitalisation rate (62). Aldosterone blockade with low-dose spironolactone or eplerenone should be considered for the post-PCI patient with class III to IV heart failure due to left ventricular systolic dysfunction (63,64), provided renal function and serum potassium are closely monitored. The implantable cardioverter defibrillator (ICD) should be considered for post-PCI patients who have irreversible ischemic left ventricular dysfunction, either as secondary prevention in survivors of cardiac arrest and near sudden death (65,66) or as primary prevention if the left ventricular ejection fraction (LVEF) is <30–35% (67,68). All ICD primary prevention trials excluded subjects who were unstable at the time of enrolment, including patients within 2 months of myocardial infarction (67,68) and patients with unstable congestive cardiac failure symptoms. The post-PCI patient's LVEF and eligibility for ICD should therefore be assessed after all potential substrates for ventricular arrhythmias have stabilized. Management of the post-PCI patient should not be regarded as purely a cardiac problem. 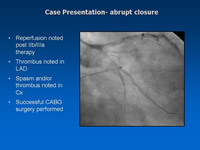 Atherosclerotic coronary artery disease cannot be 'cured' by a single procedure. Long-term follow-up of the patient, pharmacological therapy and risk factor modification are equally important. Communication between the patient's cardiologist and other medical practitioners is imperative, particularly around the time of major noncardiac illness. References (Part II was based on the following review article: Wong EML, Wu EB, Chan WWM, Yu CM. A review of the management of patients after percutaneous coronary intervention. International Journal of Clinical Practice 2006;60:582-589).